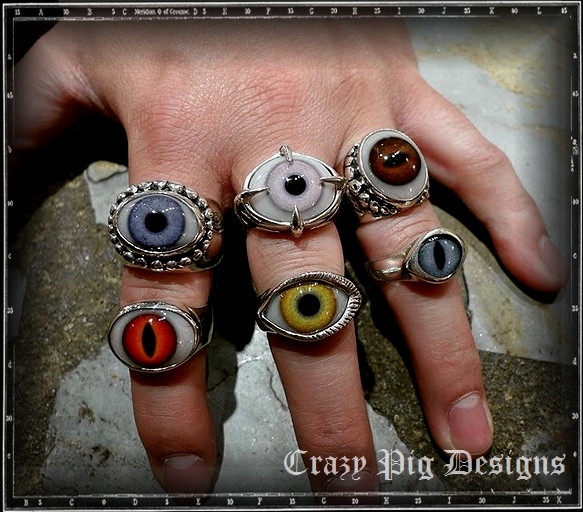 Take a look at some of our Eye Rings! We offer many different colours for each design, in both human or cats eyes. All the eyes are hand-painted, so no two eyes will be the same and therefore will differ compared to what is shown this picture. All available online and in store now. The evil eye ring is said to protect against negative energy. The design has become an iconic piece of jewellery, which has gone from fashion trend to necessary staple. We have a great collection of evil eye jewellery.